Is the ACA going away? Do you need to panic? - Oh My Dollar! Everything You Need to Know To.. If you haven’t been following – and who can blame you – the law is an absolute mess – the Affordable Care Act, the law that provides health care coverage and protections for millions of Americans, was invalidated by a judge in Texas late last year. But this month, the Justice Department said they now have the position that the entire law should be scrapped. This is a big deal. This could affect, at a minimum, 21 million Americans. So what does this mean for you, if you’re an American? Health care coverage for children through the Children’s Health Insurance Program – which covers families are above the federal poverty line but still cannot afford or find coverage. requirement for many employers to provide “reasonable break time” and a private space for nursing mothers to pump breast milk. 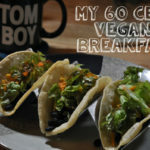 We finally have a forum! 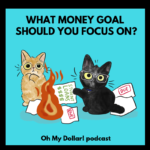 Join us at forum.ohmydollar.com is a great non-judgemental place to ask questions or participate in our daily check-ins, show off your pets, and talk aboout money. It’s really quite fun. Most of the forum is hidden from view, so register to see more! Is the ACA going away? Is it time to panic? This show is supported by generous listeners like you through our patreon. This this episode was underwritten by the Tamsen G Association and Warrior Queen. Welcome to Oh My Dollar! 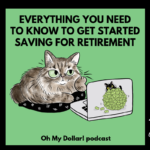 A personal finance show with a dash of glitter. Dealing with money can be scary and stressful, but here we give practical, friendly advice about money that helps you tackle the financial overwhelm. Here’s your host Lillian Karabaic. And that was your other host Will Romey. I thought that I was going to be the other host this morning. I just wanted to do like.. Caaaarl Kasell! Will, we kind of have a depressing topic today. And it’s changed since I’ve initially written the script for this episode. It has changed three times so. It’ll probably change by the time the show comes out. It actually became more depressing and then became less depressing and then you know it’s just -. But I feel like we can’t ignore it. And you know, we did a whole month of health health care topics back during open enrollment in October and November and I know a lot of our non-U.S. listeners just smugly listened away. And I think I guess that’s gonna happen again, which is – that the Affordable Care Act is kind of under threat aaaaagain. Yup. Kind of constantly it seems like. Kind of constantly but like the way that this administration has been trying to undo the ACA has been chipping little bits of it off, right? So they they removed the individual mandate, which in the short term really doesn’t have a lot of effects on people’s personal finances, except some people might choose to stop paying. But, in the long term it makes the system more expensive because we don’t have the people that don’t need insurance,. Right, It seems like a complicated system that by losing some smaller part is going to be impacting thing as a whole. Yeah. So I mean, I guess what we’re talking today about is – you – and like this is kind of maybe like an audio therapy session for Americans that are feeling like there’s an impending collapse of what little grip we do have on healthcare universality – which we totally don’t have universal healthcare but little what little grip we have collectively on healthcare. And if you haven’t been following, I’m gonna try to catch you up right now and we’re not going to spend too long on the politics of it, because one it’s constantly changing and we’re only a weekly show. And two , it’s – it’s a mess right? I don’t want to spend a ton of time on politics. This is a show about you and your own finances, this is not a show about who’s fighting with who in Washington. But here’s what breaks down – essentially the Affordable Care Act. The ACA, also sometimes referred to as Obamacare, is the law that provides health care coverage and protections for millions of Americans. And this law was implemented under Obama it, for most people, it truly went into effect four to five years ago depending on which provisions you have. And it is – it is a massive omnibus, as you would call it, of a law which means it involve tons of reforms to a lot of things that unless you are in the health care industry, you probably have no idea about down to the way they keep records. But the big thing that impacts a lot of individuals, is that this is the law that established the healthcare.gov and the individual marketplaces in states, introduced the federal subsidies that if you are below a certain income level would help support you to pay your monthly premiums and limit how much you would pay as an individual, And also expanded Medicaid in – I think as of right now – – it’s 39 states. Which is almost all of them for European listeners. Yeah we have we have 50 states and two other non states. So Puerto Rico and. Guam and then well we also have D.C. Okay so here’s the big. The big deal about this right? There’s there’s that which is what a lot of people really think of. And, in many ways is the most visceral part of it, right? Because before the ACA passed it was just one of those things that if you did not get it through your employer, it could be really, really challenging to have health insurance. And it would be super expensive or you just wouldn’t have it. Yeah. And health care expenses are the leading cause of homelessness in this country. And now health care is the second largest expense of most Americans after housing. So this is a big personal finance topic. This has a huge effect on people’s lives. Americans have a fear of health care expenses that is not pervasive in other countries the way it is here. And that is largely because our health care is a lot more expensive for what we get. We had an episode on that on Halloween. Right to the super cheap plans that didn’t really do much. But you were covered in some cases. Righ. And – and now one of the big provisions that happened in the Affordable Care Act, is that they had. to. cover. people. So it used to be that it was like other insurance where they could say “yeah we’re not going to cover you” like we’re not going to extend you coverage because you’re not a good risk. So the by – requiring them to cover more people, rates went up across the board? Because people like me who got coverage, right? We’ve talked about how I am responsible for your health insurance going up Will. Like I guarantee it. And probably most people listening to this, and that is because I was what all of the economists modeled as a young healthy person. I looked like someone who didn’t have a lot of history of you know didn’t have preexisting conditions on my record, because I had largely been putting off getting medical care because I didn’t have health insurance. And but, in reality I turned out to be someone who costs close to 40 thousand dollars a year to maintain. And that’s because my as we’ve talked about ad nauseum on the show, my drug is three thousand dollars a month. So. Here’s the thing. OK. So there is one big thing if you haven’t been following the – The whole law was invalidated by a judge in Texas late last year which wasn’t necessarily like things move through court slowly. Wasn’t a big deal. Here’s the big thing though. That was one of the most conservative courts in the country. And normally the administration or the federal government would then fight that in court right because it’s their law. However it isn’t the Trump administration’s law and they just declined to fight it. So they’re sort of allowing that decision from a lower court to hold. Well it’s not for the lower court will hold it. It’s going to go up all the way probably likely to the Supreme Court. But – and the Supreme Court has already done some rulings – which is part of what got rid of the individual mandate. Whoo fun things! But a bunch of liberal states banded together, because states have the power to kind of also sue – the states have a lot of power in the situation. So a bunch of liberal states got together and they’re fighting, fighting it. And because states – States are actually the provider of medical care and they are the regulators of the insurance market. So the insurance market isn’t actually regulated at a federal level other than the Affordable Care Act. Most insurance regulation happens at the state level. And because of that they have grounds. Right. So I’m not a lawyer,. But this state issue, yea. So here’s but here’s the latest developments. That was late last year, two weeks ago, the Justice Department said they now have the position that the entire law not just the individual mandate should be scrapped. This is a *HUGE* deal. So yeah this could affect at a minimum 21 million Americans. And these are the people like me and you, that are on the healthcare.gov plans. And this also includes people that get low-income coverage through Medicaid. Which goes by bunch of different names it goes by. Oregon Health Plan in Oregon. It goes by Kentucky Cares. But it’s still -Medicaid kind of across the board. So, this Texas ruling came after the Justice Department under former Attorney General Jeff Sessions, argued that the community rating rule guaranteed issue rule whatever whatever legalese “the protections for people with pre-existing conditions could not be defended but the rest of the law could stand”. Right. Well in that kind of seems like one of the tent poles -. The preexisting conditions is wildly popular even among conservative people that otherwise are not in support of Obamacare. So, this is a big deal because essentially the parts that they were trying to dismantle are in fact probably the most politically popular parts, even among constituents that would otherwise support Trump scrapping things. Here’s the thing. Trump is in the middle where we started the 2020 election cycle if you’re not aware – we’re fully in it now. Trump in his grandstanding statements, says that Republicans would pass a truly great health care plan after they supposedly win back the House and hold onto the Senate in November 2020. He also said that the Republican Party will now be known as the party of health care in the future. Right. But here’s the other thing. Essentially Trump just today backed off his plans after Mitch McConnell, Senator Mitch McConnell privately warned him that essentially the Senate is not going to revisit health care in a comprehensive way before the 2020 elections. It does just seem politically like a bad move. Well and right now we have Democrats in control and of Congress and it’s just unlikely. That they can do something where they can do something like that without a one party government. Yeah like practically what impacts would there be with things that are going on? So many things. So just- Trump doesn’t like the ACA. Not big news, but the reason we’re still talking about this is that this is still very much on the table. So the good news is that it sounds like nothing is going to happen till after the 2020 election. But this is kind of like Brexit at this point, where I feel like every other week there’s a new update on what’s happening with ACA and this is still moving through the courts right? So that Texas ruling is still moving through the courts. This is not just because they don’t want to put something new out on – Out in Senate does not mean that this that’s stopped what’s happening in the courts. If this goes away, this could be the end of provisions that eliminate denying coverage to people with pre-existing conditions. So fifty two million people, according to Kaiser’s study they did two years ago, have conditions serious enough that insurers would outright deny them coverage if the ACA was not in effect. Right. So I mean this is a little less than like a sixth of the United States population. It’s a big deal. It’s a big deal. It’s a lot of people. Yeah. It’s a – you’ve asthma right? Yeah yeah. 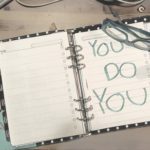 So that you’re you – you’re not getting it. It’s. Well yeah I guess I don’t know how how slight it matters. Doctor if you’ve had a UTI as a woman you can get that – ever in your life. Which like most most people do. Most women have at some point or a yeast infection. I would never get it. Nobody wants to insure me. I know that that’s you know like I said a sixth of the people in the country that. It’s a big deal. It’s a big deal. The federal subsidies that help cover the cost of insurance for those who can’t afford it but fall above the poverty line which is also called the marketplace subsidies – which is what I receive would go away. Because that’s what I’ve got. Yep. And then Medicaid, which previously I think we’ve both been on which is low income health care. Oregon Health Plan is what it’s called an Oregon is the expansion that covers 12 million Americans who fall below one hundred and fifty percent of the poverty line. Medicaid would just the expansion would just go away. It would it would revert back to what it was previously in Oregon that was that only children and pregnant women were covered. And then like they also had like 200 people who got it through a lottery system. So was OHP not covering everybody prior to the ACA? No no no. Yeah. No no no. It was. And that is because the Medicaid expansion – 90 percent of that cost – up to 90 percent is guaranteed to be paid for by the federal government through the ACA. Most states cannot afford to pay for Medicaid all on their own. And this would yank that federal funding. All fiscal estimates I’ve seen, that said no matter how liberal the state is. Oregon obviously really puts health care of low-income citizens as a priority, J OHP is probably one of the most comprehensive Medicaid programs in the country. We are incredibly liberal as far as are our makeup of our politicians. but we couldn’t afford it. We just literally couldn’t afford it. All the fiscal estimates I’ve seen has said the only state that could afford to keep up Medicaid expansion, and the subsidies for marketplace coverage for people that you know are above the Medicaid line – would be California. And that’s because California would is the fifth largest economy in the world. California is likely that it would keep it around. They’re very determined to do things their own way. And they have the taxes to be able to pull it off, right? Right. Mm hmm. I know that that’s so that’s that that’s a surprising fact. Yeah it’s a big deal even have that, very cool.. that’s good for California. Health care coverage for children whose family is above the poverty level but still couldn’t afford or find coverage through the Children’s Health Insurance plan otherwise known as CHIP, which is not the same as Medicaid – that would disappear. Access to opiate addiction treatment for low income Americans. Trump has made this statement that, you know, he really wants to to work on fighting the opioid crisis in the United States and essentially Medicaid being covered by opiate addiction is part of the ACA. There’s there’s other there’s just other things. One of the really universally popular things, is the ability to cover your adult child up till the age of 26 on your health insurance. Yes that one was nice up until I was 26. Yeah it was really great for the three months between when it passed and went into effect and I turned 26. And it’s great if your parents have good health insurance. And for a lot of people, it’s at no additional cost, if they have really good health insurance. Coverage for preventative service. So we’ve talked about this before there’s a bunch of provisions under the ACA, that means that you get free preventative service, even if you haven’t met your deductible – so your annual exam, your you know, your well woman exam, OB-GYN exam. These are things that are considered preventative services, and your flu shot – and are covered even if you have not met your deductible. But there’s also like way nerdier things. So the regulatory pathway for the FDA approval of biosimilars which are generics for the most expensive class of drugs, which are called biologicals, which is the kind I’m one. To bring bring down those expensive costs. And here’s the thing. Right now there this is the only thing holding together a regulated – regulatory pathway – to way to have generics for biologicals, otherwise known as biosimilars. And that is the only thing we can hope for over the long-term bringing that cost down. And if this disappears, like this almost every drug in production in research and development, right now is biological it’s part of that class of drugs. We’ve – we’ve discovered all the compound drugs we’re gonna find at this point. And so everything that’s being researched is currently in the biological class so this is a big deal like new generics being created, is less and less likely if this disappears. Here’s another one. It requires many employers, larger employers, to provide reasonable break time and a private space for nursing mothers to pump breast milk. Oh I didn’t know that was a part of the ACA. That’s good though. I mean like I said it’s an omnibus bill, meaning it’s a bus. There’s also a bunch of things about the way hospitals document and cost care provisions and lots of things. Right? So if this disappears all that all that’s gone. Yeah. Yeah. So I guess. I guess the real question is like how does this affect us? Well you and me don’t have health insurance. If this goes away. I gotta go get a job at a corporation, right? Cause I don’t mind Mine’s very subsidized. I pay- I just paid it – I should know – I pay $22.97 or something real cheap for it and I’m sure it’s much more without a subsidy. Yeah so I pay I get a subsidy of two hundred and seventy four dollars a month for mine right now. But even without the subsidy I’m uninsurable. All right. So it’s like I’m willing to not get the subsidy. I would adjust my budget to do that. I care about health insurance. It represents my values in my budget. But the big thing, is that the – regardless of that I would not be able to buy it on the exchange. I would fall into that group of 52 million Americans that would not be able to just buy it. Right. So go find some corporate job? Also there. Yeah I would have to find a corporate job. On average the subsidies cover $525 of a $612 monthly premium for customers in the 39 states that use the federal marketplace healthcare.gov. And this is according to a report from the Department of Health and Human Services. So, if the marketplace subsidies go away, a comprehensive health plan will become unaffordable for most of these people right. 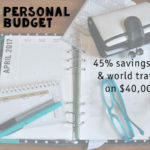 Most people can not afford to add a $525 expense to their budget. You know what. Yeah yeah. Especially if you’re in the category of someone who qualifies for the monthly subsidies. Means you probably have little less wiggle room. Yeah. You’ve got a subsidy you probably not making a ton to begin with. So I mean I’m super affected. My drug is $3000 a month. I get the subsidy. I’m very much fall in this category. This is what can you do. So what the questions are kind of what you can do? Well, a lot of people kind of revert back to the options that they had before we had comprehensive health care coverage. One of the big ones is OK- Do you stay or get a corporate job? Right. So this reduces the amount of people that are interested in entrepreneurship, or you know part-time work, and things like that simply because you go and find a job. Right because then you’re trading off health care for that sort of work. And and if you do have a corporate job then you’re you know you’re likely going to be covered regardless of your preexisting condition. If you have continuous coverage which is a whole nother thing. So you don’t. The other thing is that people will likely be more likely- We’ve talked about these games you can play with COBRA- before right where you can just kind of choose to not do COBRA. People will now continue to pay probably if this goes away. A lot of money for COBRA because one of the ways to not lose, to not be opted out of pre-existing conditions,. Or right – is to have continuous continuous coverage. And you have to have this this certificate, this statement of continuous coverage. And that’s where Cobra comes in. Which might mean you’re paying a thousand bucks a month if you quit your job. We did an episode on COBRA. Which I think two episodes limits on COBRA. And it might it might have stuck around for good reason right? So, I asked some people on the Oh My Dollar! 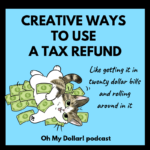 forums shout out to the Oh My Dollar! forums, which are going extremely well and they’re really fun, nice place you should come join them, if you are interested in having conversations on the internet about money. But I asked, some people like how it would affect them? Gray said “the collapse of the ACA would mean, at a minimum, myself or my partner would likely work for an employer enough for employer-provided health insurance or work for ourselves successfully enough to pay for health insurance without subsidies – assuming my pre-existing condition of IBS and anxiety didn’t make companies refuse to insure me. Being refused insurance would also make it risky to do something like not working at all, while training for a new career. Making it very likely, I’ll be attempting to work part-time while doing career training, while also raising kids.”. Rdannell from the forums said “I’m not going to personally be affected because honestly I didn’t think the ACA would last be that workable so I never relied on it and never had to. And with all my pre-existing stuff, buying insurance outright is a minimum of twelve hundred dollars a month anyway. Before the ACA I was in the pre-existing conditions denial group and I still would be if it went away. And I did have to pay out of pocket because I didn’t get enough coverage through work, I had to get family help for that or I would have been totally effed. The only reason things are fine for me now is because I’m married to a guy with a well-paying job and great health insurance. Husband will probably not retire early no matter how much wealth we accrue,. just for the health insurance alone unless we move to another country which is something we talk about occasionally.”. This is one of the big things right? Like is – largely, health insurance was the reason a lot of people that would have been willing to retrain, take time off to raise kids, strike out on their own from a corporate job, didn’t do that before the ACA. And we’re gonna see the return of that. And the continuous coverage aspect makes it even more vital. uuuuuuhhhh So fun. It’s so fun. Well that was kinda scary too. It definitely shows her taking advantage of the ACA to go to grad school to get her dream career. But increased earning and get insurance differently. No it’s a good thing too. To be late – I didn’t I wasn’t able to find my own drug before the ACA because I wasn’t able to seek treatment for it. And and and now I’m, I am pretty much almost symptom free because I have access to this drug. One of the things I do think will be an option for people, which we did see before, is marriages. Right? So two people here have mentioned like I might not keep this up, but my partner has really good insurance. Or we could put my partner on my insurance and I largely think – I have been to a few health insurance weddings before the ACA. And I think it’s entirely plausible, we may see the rise of those again. And I think one of the things that was interesting is a lot of liberal or large employers had implemented domestic partner coverage, before gay marriage was legal over. That’s true I do you remember that. Yeah. And so you didn’t necessarily have to be married, you just had to be – meet whatever the requirements were for domestic partnership or. Right. And this was largely large employers, and usually employers with fairly liberal policies that did this and they did this because some states gay marriage was legal in some states weren’t. And so if they worked across states where this wasn’t true it was easier to just do a domestic partnership benefit right? A lot of employers have gotten rid of the domestic partner benefit, since 1) the ACA and the cost of premiums has gone up for insurers for employers. And 2) since gay marriage is passed because no longer is it like oh is it a regulatory nightmare if you will operate in different states right? And you know maybe like they are good employers and support gay marriage. But it’s kind of a bummer right because domestic partnership, if you don’t want to participate in the institution of marriage, which is totally valid – was a way to kind of get the insurance bit benefit right of it? And possibly other benefits. So I do think that that ends up being a possibility. We have someone on the forums who is actually going to work on a guide of kind of expat fleeing of the country for health care reasons. Oh cool! I’d love to read that! And evaluate some countries. Pretty in-depth though, so I’m not sure when it will be out. Probably not before this episode, but we will definitely link to it in the show notes when it does come out. So one one thing that trisprior from the forums, pointed out was that “honestly though, I’m more afraid of the lifetime cap going away. A family friend got caught up in that. He died with hundreds of thousands of dollars in medical debt because brain cancer will get you up to that lifetime limit pretty damned quickly. So that’s actually a really big one, is that we didn’t, mention in the incredibly long list of the things that were passed in the ACA. But one of those is the elimination of the ability to have a lifetime cap on how much people can pay out. So one of the big things is that if you had a kid that was born premature, they could hit their lifetime limit – the first three days they were alive. And then they literally the insurance wouldn’t pay out after that right. Common lifetime limits were $500,000 or a $1,000,000 – which sounds like an absolutely bananas amount of money to spend. But medical treatment super expensive and inflated. If you get Medivacced to a hospital and you’re in the ICU for a couple days. OOr if you go through long term treatment for something like brain cancer, .where you are in expensive treatments, for really long period of time – all of those things add up. So that’s one of the big ones. And that was prior to the ACA to a lot of people that did have really expensive conditions had multiple health insurance policies because they were going to hit the cap on one. So- maybe we see that come back. Am I just predicting a return to the dark times. Is that what this entire episode is? OK. So things you can do to prepare. One is if you feel like you might be affected by this, which frankly if you’re an American,. You probably will be in some way right. All of these, all of these things add up to all insurance plans, not just – it’s not just people on the exchange. It’s not just people on Medicaid. It’s not just people with preexisting conditions, like you have to understand that this bundles in so many regulations, that if the ACA goes away it affects almost everyone. So one thing is to keep up to date. We will try to keep you updated on the show as things pull off. The other thing I would say is that even though – 1) courts are slow. 2) Trump has just said that they’re not going to do anything till after the 2020 election. So that’s your timeline. Sort of a relief right. The other thing to understand is that insurance markets are really slow because regulation is really heavy in them, for good reason. It’s just like seems like complex, dense policy. Yeah. And because of that. But and they’re regulated on an annual basis and usually that’s done more than a year out. So this is the thing it’s gonna be slow moving molasses. Right. So if you’re making plans, like I don’t know applying for a work visa in another country or something, marrying a Canadian I don’t know? Just know that you’re going to have some some predictions and some time. That being said, I don’t know – You know some of the good government job, Maybe you want to marry just- You could do that. I would just go for it. Endorsed by Oh my dollar! as a smart financial decision. I don’t know- Will are you? How are you feeling about this? I wonder if this is just a collective crying episode, but I just wanted to tell people what’s going on. Yeah I mean, I have cheap insurance and I like it and. You don’t want to go away. Yeah I. I think the thing that is – Like a little heartbreaking for me is that it wasn’t a super great system under the ACA, but if we had fixed a couple of the problems. And I’m sad to think that we might just go back to having none of those problems fixed. Right. Back to square one is frustrating. Yeah it’s a bummer. Well on that note. Yeah. Sorry to bum you out. If you want to talk more about this. Oh My Dollar! forums is essentially a group therapy session. Yeah and we have you know cat pictures. So that’s what’s going on. There’s no clear answers. I guess that’s what I want to tell you, is there’s no clear answers. Starbucks gives you health insurance for being a part time employee. That wraps our show for today. Our producers Will Romey, me. Our intro music is by Aaron Parecki. 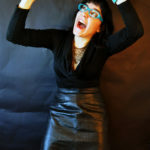 And your host and personal finance educator is Lillian Karabaic. Thanks for listening. Until next time you can manage your money – so you have health insurance. Manage your money and fix your government, so it doesn’t manage you. Sonix quickly and accurately transcribed the audio file, “Is the ACA going away_ Is it time to panic_.mp3”, using cutting-edge AI. Get a near-perfect transcript in minutes, not hours or days when you use Sonix, the industry’s fastest audio-to-text converter. Signing up for a free trial is easy. 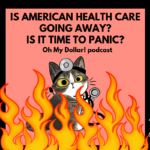 For audio files (such as “Is the ACA going away_ Is it time to panic_.mp3”), thousands of researchers and podcasters use Sonix as a simple software solution to transcribe, edit, and publish their audio files. Easily convert your mp3 file to text or docx to make your media content more accessible to listeners.